This building was originally home to Mills & Young Livery. The sign on the front façade advertised "Horses, Mules, Buggies, & Harness." The building was also Slick’s Diner from 1960 to 1989. 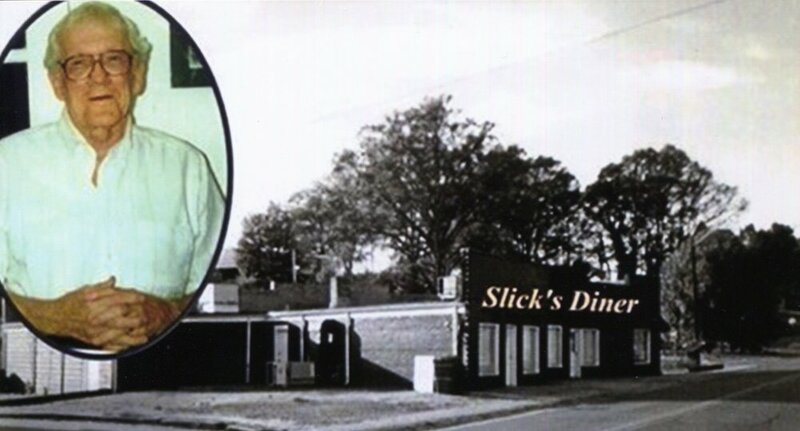 It was owned and operated by Boyce S. Jennings, better known as Slick. The Blue Goose occupied part of the building and was a diner, billiards hall and taxi cab dispatch. It currently is home to Crossings on Main gift store. On Nov. 3, 1910 The Fort Mill Times contained an ad for Mills and Young Company offering, "Rock Hill Buggies for sale as well as clothing, overcoats, hats and shoes." The Fort Mill Times reported on Sept. 9, 1903 - "Mr. E.L. McElhaney has resigned his position with Mill and Young and will go to Rock Hill to take a similar position with A. Friedheim and Brothers."